SLASH YOUR FOOD PREPARATION TIME BY UP TO 50% & GET PERFECT RESULTS EVERY TIME. 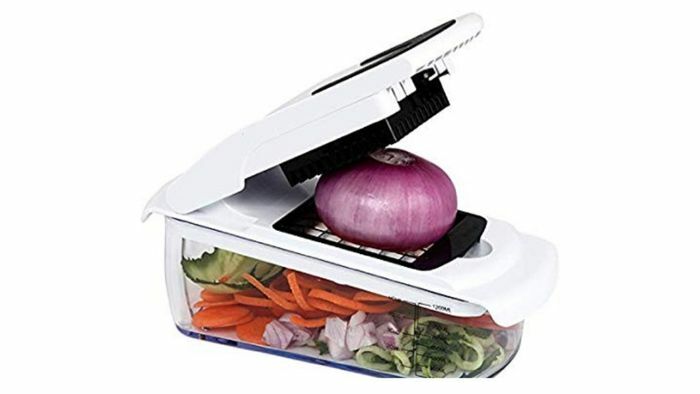 With this 7 in 1 Vegetable Chopper and Slicer, you'll spend less time preparing food and more time enjoying it... plus the professional results will simply amaze you! This is made so you can use multiple kitchen tools with 7 detachable cutting blades in one! PREMIUM QUALITY MADE TO LAST. We can assure you that the Harcas 7-in-1 Vegetable Chopper and Slicer is made of premium quality materials which makes it much more robust and durable compared to other similar tools! The BPA-Free frame is made from heavy duty ABS for strength and durability. The container base, also BPA-free, is made from thickened food grade PS plastic. The stainless-steel blades are razor sharp, rust resistant and non-corrosive. BACKED BY OUR 365 DAY WARRANTY & 30 Day 100% MONEY BACK GUARANTEE. We believe this is one of the Quickpush Vegetable Chopper/Slicer out there, so we are offering such an amazing guarantee. What do you think of this Facebook deal?